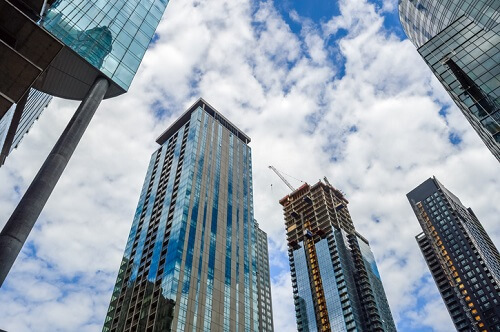 In its latest data release, the Greater Montreal Real Estate Board (GMREB) revealed that healthy activity in the city’s condominium segment has played a large role in the respectable 5% year-over-year growth in the metropolitan market’s sales activity last month. February 2018 – which saw a total of 4,081 residential sales – represented the 36th consecutive monthly increase in Montreal’s home sales numbers, as well as the best February since 2012. Sales of condo units markedly went up by 14% last month, while single-family homes and plexes (2 to 5 dwellings) had small increases of 1% and 3%, respectively. Five of the six main areas of the Montreal CMA posted sales increases in February, apart from Laval (which suffered a 3% decline). Vaudreuil-Soulanges showed strongly with 21% growth. The number of active residential listings in the Centris® system went down by 17% annually, to 26,252. Meanwhile, the median price of single-family homes across the CMA went up by 6% year-over-year last month, up to $310,000. Condos experienced a 5% increase in median prices, with around half of all units having been sold for over $250,000. “The acceleration in price growth is a direct result of increasingly tighter market conditions, which can be explained by a decline in the supply of properties for sale,” GMREB board of directors member Mathieu Cousineau stated.